The Gosford/Erina & Coastal Chamber of Commerce and Industry Inc. is constantly keeping its members aware of changes in legislation and government regulations. Where better than your Chamber to discover what's happening in your town. Networking between members is also beneficial when it comes to who provides what or who can utilise your services. Our monthly chamber luncheon is a forum that provides this vital contact between both members and business leaders. Innovation and change through "The power of many"
If you would like to join just download the electronic application form here and return. Once you join us you will be displayed on our progressive website in the new members section. 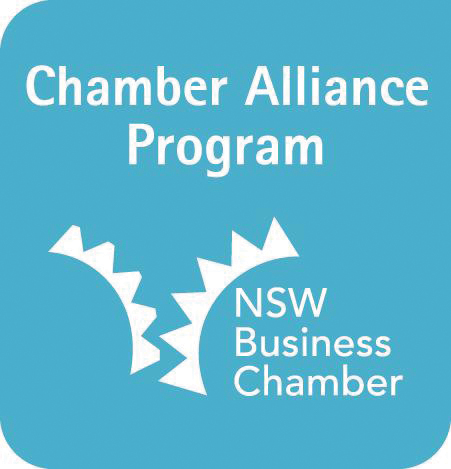 We are also a member of the NSW Business Chamber alliance program. Great members entitlements, at no extra cost, are available to financial members of the Gosford/Erina & Coastal Chamber of Commerce. See these additional entitlements here. For Gosford/Erina & Coastal Chamber of Commerce that are also existing members of the NSW Business Chamber, upon your next renewal with the NSW Business Chamber you will receive a discount off your membership with them. For more information please contact our chamber today on 4323 1735.